With this channeling I want to make you aware of how your own choices of what you think and feel can create a better and newer existence for you. I also want to make you aware of how easy it is to dissolve patterns and create change in the New Era, in other words now. I want to share with you how you now can start to change your lives through a so-called conscious energy work/creation. Let me start from the beginning with an example of a not completely unusual situation. To always give yourselves a bad conscience for the things that you cause yourself or others can create a situation in your life where everything feels heavy and dark. These emotional energies weigh you down, give you a bad conscience, and as a result of this you give yourselves yet more bad conscience – a downward spiral. That you also are aware that guilt ridden thoughts and feelings give you more of the same thing causes you to feel yet worse by your low frequency thoughts and feelings. The spiral continuew further down and you do not know how to stop it and turn it upwards again. 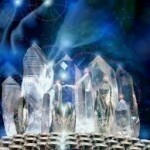 In the third dimension it was a very long and drawn out and difficult process to dissolve negative emotional patterns. The knowing that low frequency thoughts and feelings attracted yet more negative feelings, thoughts and situation was a very heavy burden for you to carry. In the New Era the energies are completely different. It is still so that the law of attraction is a law that always exist, but it is infinitely much easier to make conscious choices for change that causes your energies to change so that you attract nice and pleasant feelings, thoughts and situations in your life rather than those that are connected with guilt, worry, concern and so on. The first thing you need to do when you identify feelings in yourselves that you do feel good from is to let them come up to the surface and become visible to you. Put the cards on the table for yourselves. Admit everything heavy you feel for yourselves without trying to reason yourselves out of the situation, blame others or trying to figure out how you should think or feel instead. Be honest to yourselves and say aloud “I feel so bad from always feeling guilt for a bunch of things. I cannot have it like this any longer, but I have no idea how to get out of it”. Lament for yourselves, let forward anger over everything that has been, cry a bit if it feels hopeless and admit fully to yourselves how you feel. Nobody else needs to know. Nobody else needs to be involved in your feelings. Decide that you cannot do anything about that you feel this way right now since it has been part of the third dimension and if you could have figured it out earlier you would have let go of it. We can let you know that these actions towards yourselves change your own energies right away. 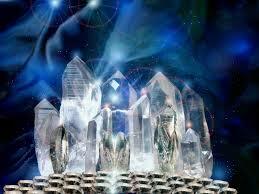 Energies that have been blocked and stagnant for eons of time start to move and change your energy composition. Be aware that the more you admit to yourselves that you actually do not feel good at all from feeling guilt, bitterness, worries and so on the easier the feelings will be freed from you. You are “merely” humans on Earth and as humans these feelings have been a natural part of you for eons of time. However, now, dear friends, the energies on Earth have finally changed enough that it is easier than ever to free oneself from burdensome feelings. We would thus like to propose the following schematic method to consciously let go of low vibrating feelings. Admit your feelings to yourselves. Get to the surface with everything. Accept that the feelings are yours and do not have anything to do with the actions of others. It is you who feel the feelings. The feelings are energy and you must change them if you want to attract a new reality. Accept that you with your poor brain cannot figure out how to get rid of the feelings. Let the feelings be in your focus, talk to them, thank them for all the experiences they have given you, bring them close to you and feel them in consciously. Ask your soul, guides, angels and so on to help you in the situation you find yourself. Use your fantasy and pretend that your low feelings are a symbol – yellow star. Pretend that you place the star in a big soap bubble. Let it go, in your fantasy, of the bubble in the sky and see how it decomposes and becomes a light matter that slowly falls down. You have now done (maybe) your first conscious energy work with yourselves. I promise you that your feelings will wilt away. You will be free, sometimes at the very moment, sometime after a day or two and sometimes after a week. Have trust. You are fantastic beings of light and to consciously change your life with energy work is completely natural to you. Ask your soul to help you to remember. Ask for help and we can guide and assist you – with joy. We wish you much luck. – All the Love!